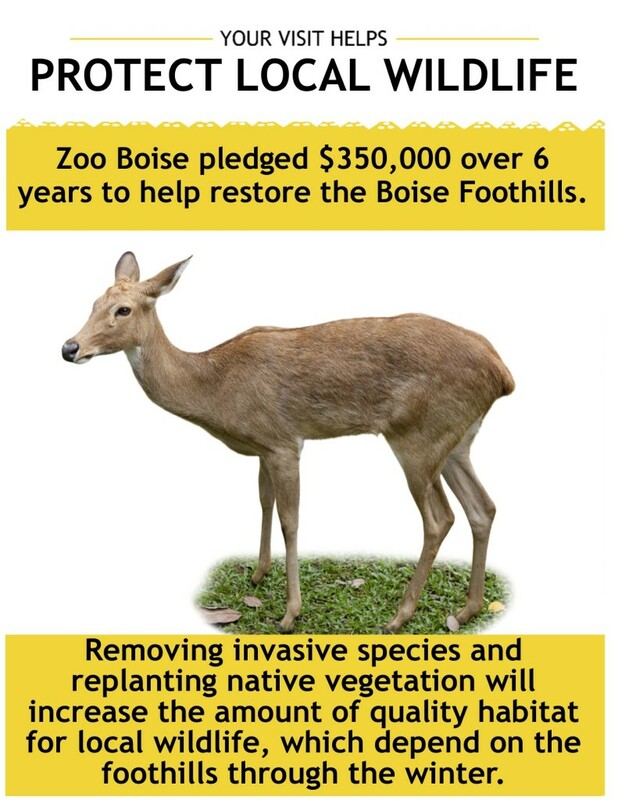 Every time you visit Zoo Boise, you are helping to restore and protect the Boise Foothills. 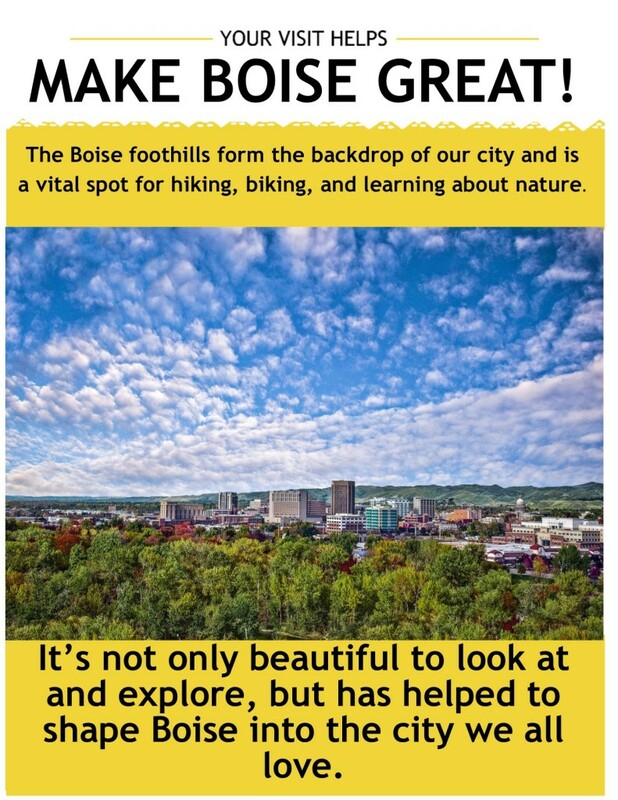 Funds generated by visits to Zoo Boise will be used to help protect one of Boise’s favorite features—the Foothills. 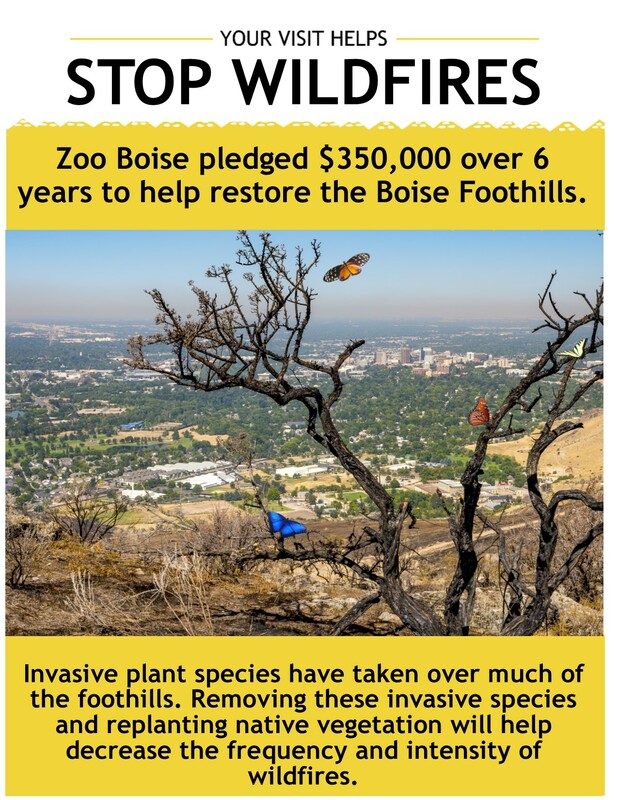 In 2016, Zoo Boise gave $100,000 to help restore Table Rock after it was destroyed by fire. 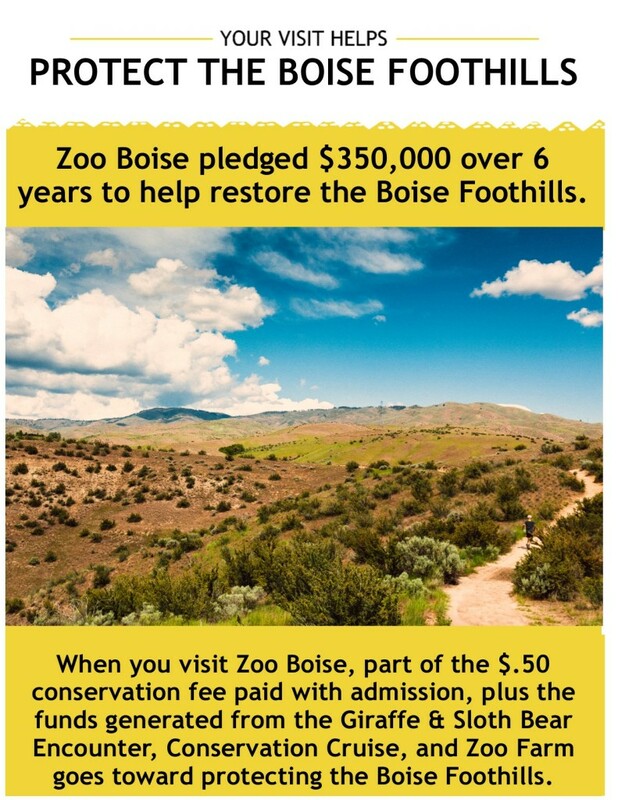 Over the next five years, Zoo Boise will generate an additional $250,000 for Foothills preservation and restoration. That’s a total of $350,000! 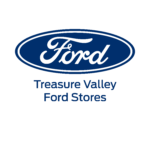 Zoo Boise’s ground-breaking conservation fee (charged with admission) and costs for additional activities have become a national model for providing funding for conservation efforts. This model has played a key role in “changing the zoo” from a place to simply learn about animals to a tool for saving them. 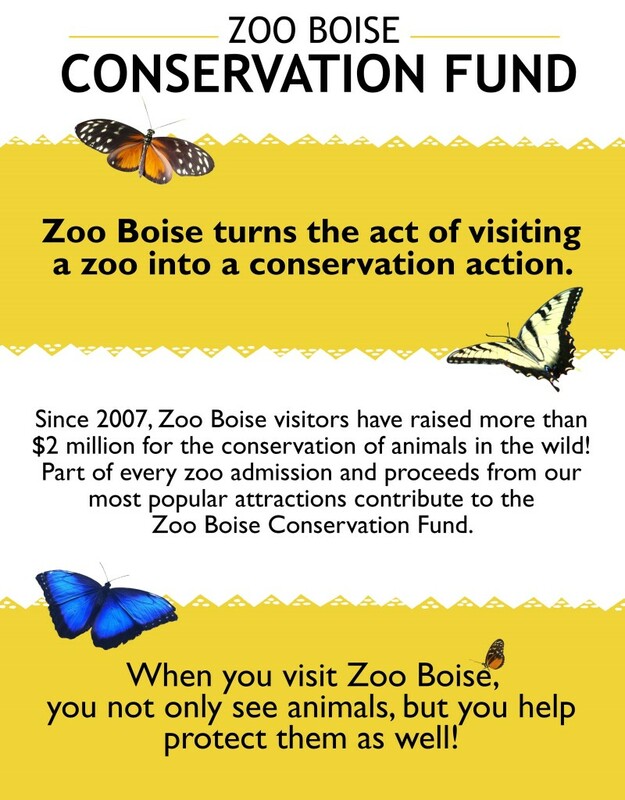 Since 2007, Zoo Boise’s conservation fund has contributed more than $2 million to protect animals in Idaho and all around the world. When you visit Zoo Boise, you don’t just see animals, but you help protect them as well!